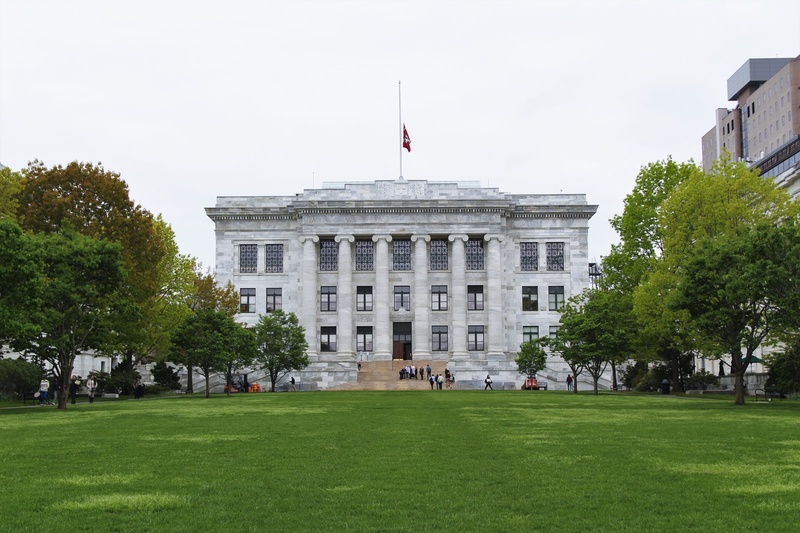 The main quad at Harvard Medical School. The Blavatnik Family Foundation plans to donate $200 million to Harvard Medical School, the largest gift in the school’s history, the University announced Thursday morning. Administrators will rename the school’s 10 academic departments located on its main campus the "Blavatnik Institute at Harvard Medical School." The new institute will encompass social science and basic science research faculties. “This tremendous act of generosity will speed progress and generate profound and lasting contributions to science and human health,” University President Lawrence S. Bacow wrote in the press release announcing the gift. “In each aspect of the gift, one recognizes not only a deep commitment to supporting outstanding research, but also a fundamental understanding of and respect for the nature of the scientific enterprise — and the hope it holds for all of humanity,” he added. The gift will fund an array of research initiatives in Longwood, including single-cell sequencing, structural biology, and drug discovery programs. The donation will also create the Blavatnik Harvard Life Lab Longwood, which aims to support biotech and life sciences startups. Len Blavatnik, the billionaire behind the Blavatnik Family Foundation, has donated to Harvard before. A graduate of Harvard Business School, Blavatnik donated to Harvard once in 2007 and again in 2013, when he gave $50 million. “Harvard has an unsurpassed life science ecosystem, with 15 of the most prestigious academic medical centers and proximity to the bio-tech industry, all collaborating to provide opportunities worldwide to advance science,” Blavatnik wrote in an email. Blavatnik has a diverse portfolio of business activities, including media, natural resource, and real-estate holdings, and has an estimated net worth of $17 billion, according to Forbes. He has donated to other universities including Oxford in 2010, when he gave £75 million. The university promptly named its school of government after him. The Oxford donation drew controversy in the British press due to Blavatnik’s business dealings in Russia. A group of academics and Russian dissidents wrote the Guardian a letter calling Blavatnik one of “Vladimir Putin’s associates” and stating that he engaged in unfair “state-sponsored harassment against BP” as part of a coalition of Russian oligarchs. “We’re very comfortable with who Len is,” Bacow told the Boston Globe. A spokesperson for Blavatnik declined to comment. The $200-million gift joins a rarefied group of mega-donations to Harvard in recent years, which include a $350 million gift to the School of Public Health and a $400 million gift for the School of Engineering and Applied Sciences, both of which prompted Harvard to rename the respective schools.